Last Chance Reminder: I originally posted this yesterday. Here’s a reminder that the promo code expires tonight at 11:59pm PST. This is a very popular deal so don’t miss out! A lot of people have taken advantage of this promo code. Groupon is offering an awesome 15% off promo code today!!! 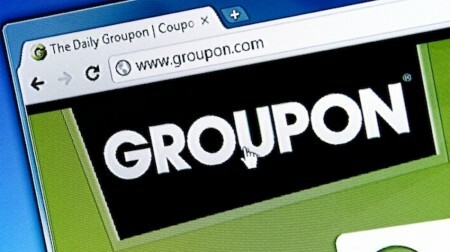 You can save an extra 15% off any one Local deal on Groupon.com when you enter the promotion code LOCAL15 at checkout! The code is valid for 2-days only and will end on Friday, May 9, 2014 at 11:59pm PST. This is going to be a very popular offer so don’t miss out! The promo code works on any local deal in any city. It excludes product deals and getaways deals. There’s a limit of 1 Groupon local deal per account with a maximum discount of $50. Hurry, only a limited amount of people can use the code so take advantage of the offer while you can! This is a hot deal because Groupon rarely offers promo codes and most of their local deals is already discounted 50-95% off. You’ll find lots of amazing deals with the extra 15% off. Good toward any 1 Local deal only, max discount of $50. Limited quantities available.